Finding a good school to study is a quite tricky thing. You have to find out their competitiveness and least assured that when you graduate will end up high recommendation to your career. Unfortunately, Only four (4) Universities in the Philippines that reach the standards for 2015 QS Asian Ranking of 300. We are hoping that we could see a further list for QS Asian Ranking 2016. You may also check the previous QS Asian Rankings that we’ve got. 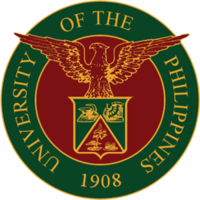 The University of the Philippines (Unibersidad ng Pilipinas in Filipino, commonly abbreviated as U.P. and colloquially referred to as Peyups) is the national university of the Philippines. Founded in 1908 through Act No. 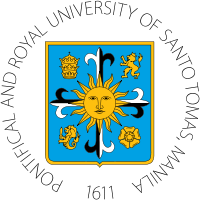 1870 of the first Philippine Legislature, known as the “University Act” by authority of the United States, the University currently provides the largest number of degree programs in the country. Senate Resolution No. 276 of the Senate of the Philippines recognizes the University as “the nation’s premier university”. Seven of fifteen (15) Philippine Presidents have attended courses in the University either as undergraduates or as postgraduate students, while 12 Chief Justices of the Supreme Court, 36 out of the 57 National Artists and 34 out of the 35 National Scientists are affiliated with the University. U.P. has the most National Centers of Excellence and Development among higher education institutions in the country and one of only three schools in Asia that have received institutional recognition in the Ramon Magsaysay Awards. U.P. is partly subsidized by the Philippine government. Students of the university and its graduates are referred to as “[Mga] Iskolar ng Bayan” (“Scholars of the Nation”). This makes admission into the University extremely competitive. In 2006, 70,000 applicants flocked to test centers to take the University of the Philippines College Admission Test (UPCAT) for undergraduate admission. Around 11,000 of the applicants were admitted for the year 2006, an acceptance rate of about 18% for the whole of the UP system. 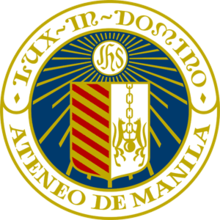 The Ateneo de Manila University (also called Ateneo de Manila or simply the Ateneo) is a private teaching and research university run by the Society of Jesus in the Philippines. It began in 1859 when the City of Manila handed control of the Escuela Municipal de Manila in Intramuros, Manila, to the Jesuits. It was then a state-subsidized school. It became a private school during the American occupation of the Philippines, and has moved from Manila to its current location. It received its university charter in 1959. Its main campus in Loyola Heights, Quezon City, Metro Manila is home to the university’s college and graduate school units, as well as its high school and grade school. Two other campuses, in Rockwell Center and Salcedo Village, both in Makati City, house the university’s professional schools of business, law, and government. A fourth facility in the Don Eugenio López, Sr. Medical Complex in Ortigas Center, Pasig City houses its school of medicine and public health. The Ateneo offers programs in the elementary, secondary, undergraduate, and graduate levels. Its academic offerings include the Arts, Humanities, Business, Law, the Social Sciences, Philosophy, Theology, Medicine and Public Health, Biology, Chemistry, Physics, Mathematics, Computer Science and Information Technology, Engineering, Environmental Science, and Government. Aside from teaching and research, the Ateneo de Manila also engages in social outreach. It was granted Level IV accreditation–the highest possible level—from the Commission on Higher Education (CHED) through the Federation of Accrediting Agencies of the Philippines (FAAP) and the Philippine Accrediting Association of Schools, Colleges and Universities (PAASCU). Its was reaccredited at the same level, and was likewise granted Institutional Accreditation by the same body in 2011, the first time that both citations were awarded to a university simultaneously. It is also one of few universities granted autonomous status by CHED, which likewise recognizes a number of the University’s programs and departments as Centers of Excellence and Centers of Development. Its grade school and high school have been granted Level III accreditation by PAASCU and FAAP, the highest possible level for basic education. The Pontifical and Royal University of Santo Tomas, The Catholic University of the Philippines (colloquially UST or “Ustê”. Filipino: Unibersidad ng Santo Tomas), is a private Roman Catholic university run by the Order of Preachers in Manila. Founded on April 28, 1611 by archbishop of Manila Miguel de Benavides, it has the oldest extant university charter in the Philippines and in Asia. and is one of the world’s largest Catholic universities in terms of enrollment found on one campus. UST is also the largest university in the city of Manila. As a Pontifical University in Asia, UST is the only university to have been visited by two popes three times: once by Pope Paul VI on Nov. 28, 1970, and twice by Pope John Paul II on Feb. 18, 1981 and January 13, 1995. The University is composed of several autonomous faculties, colleges, schools and institutes, each conferring undergraduate, graduate and postgraduate degrees, and the basic education units. Several degrees have been accredited by the Commission on Higher Education as Centers of Excellence and Centers of Development. Since the Asian rankings only prioritize top 150, We continue the list below according to their score. De La Salle University (Tagalog: Pamantasang De La Salle) (also referred to as DLSU or La Salle) is a private La Sallian university in Malate, Manila, Philippines. It was founded in 1911 by De La Salle Brothers as the De La Salle College in Paco, Manila with Blimond Pierre serving as its first director. The college moved in September 1921 to its present location to facilitate increase in enrollment. 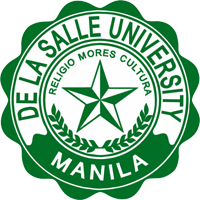 DLSU, granted university status on February 1975, is the oldest constituent of De La Salle Philippines (DLSP), a network of 17 La Sallian institutions established in 2006 to replace the De La Salle University System. The university started as a boys’ elementary and high school. It started offering in 1920 a two-year Associate in Arts in Commerce program, which was later discontinued in 1931 in favor of a Bachelor of Science in Commerce program. DLSU currently offers coeducational undergraduate and graduate degree programs through its seven colleges and one school specializing in varied disciplines, including business, engineering and liberal arts. The university, currently under the administration of President Narciso S. Erguiza, is a member of several international university associations (including the ASEAN University Network and International Association of Universities) as well as local organizations (such as the South Manila Inter-Institutional Consortium). DLSU is identified by the Philippine Commission on Higher Education (CHED) as a “Center of Excellence” in six of its programs, and a “Center of Development” in the same number of programs. The university is also among the 40 institutions granted autonomous status by CHED as of 2010. Likewise, it is the first of the only two institutions granted the highest-level accreditation (Level IV) by the Philippine Accrediting Association of Schools, Colleges and Universities (PAASCU). The university ranks 107th and 451st in the 2011 Asian University Rankings and 2010 World University Rankings, respectively, published by Quacquarelli Symonds. Research is mainly funded by the De La Salle University Science Foundation. Since 2000, DLSU has been the CHED Zonal Rsearch Center for 10 cities in southern Metro Manila. As such, it evaluates research proposals for recommendation for CHED funding, and monitoring of CHED-funded researches, among others. DLSU research has focused on affective computing and renewable energy. Application of its research has resulted to electrification of remote areas in the country through the use of micro hydro generators, and the creation of both of the only two solar cars of the Philippines, SINAG and SIKAT. The Ateneo de Davao University is a private teaching, service and research university run by the Society of Jesus in Davao City in the Philippines. It is also known by the acronym AdDU. It was established in 1948, and is the seventh Ateneo opened by the Jesuits in the Philippines. The university has five undergraduate schools, namely the School of Arts and Sciences, School of Business and Governance, School of Engineering and Architecture, School of Education and the School of Nursing. The graduate programs are under these units as well. The College of Law is a separate unit within the university. The university also runs a grade school and high school. The University was granted “Institutional Accreditation” by the Philippine Accrediting Association of Schools, Colleges and Universities in which only six universities in the country were given such recognition, and was also granted Autonomous Status by the Commission on Higher Education (Philippines). Please visit topuniversities.com for FAQ and further reference. Thanks.